Quadrifilar helical antenna or omni directional GPS antenna, generally according to specific rules it consists of 4 curved metal lines welded to cylindical base,without any grounding.It has both Zapper antenna and vertical antenna characteristics.Its ingenious structure enables any direction of the antenna has 3dB gain and a good pattern! Quadrifilar helical antenna has a omni directional ability to the reception, so when combined with pda, regardless of the placement of the PDA, quadrifilar helical antenna can receive GPS signal, which different from GPS antenna requires the use of flat restrictions in order to better reception. To use such antennas, when the satellite appeared in the ground plane 10 degrees, you can receive signals transmitted by satellite. The interface is different, External GPS Antenna is for satellite navigation, it should connect to GPS device or GPS Bluetooth module. 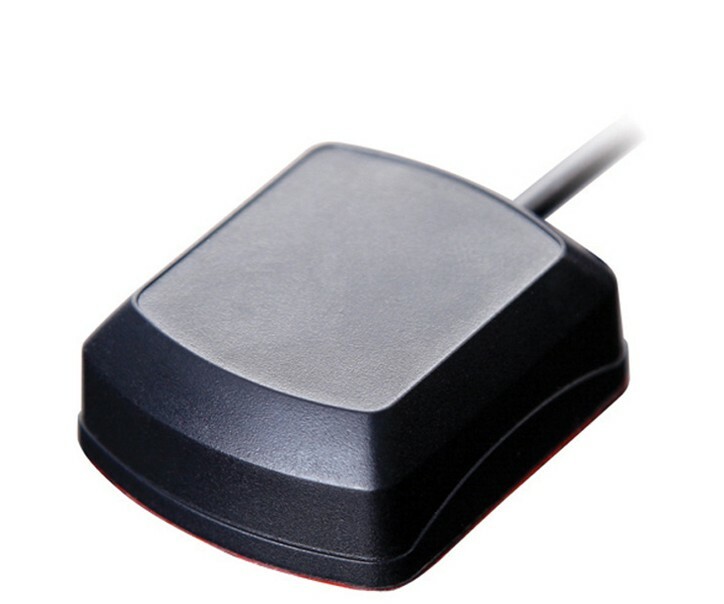 External GSM antenna is mobile phone external antenna, car phone hands-free system is generally connected to an external antenna to match select the external antenna connector of your car phone via Bluetooth hands-free system the way with your phone. In addition, the global industry for electronic products require light, thin, short, small, under characteristics, coupled with highly integrated mixed signal chip as the RF front-end functions, the entire GPS system includes GPS, processing cores, embedded memory chips, and small electronic elements, which makes GPS miniaturization formed a trend, but also because it shares trends, the relationship between the scope of the future GPS market is about depth personal use, GPS will one day become the people’s daily necessities. With the popularity of the automobile, automobile parts industry development subsidiary also in full swing, the owners are also happy to use or cool all kinds of accessories, such as solar film, alarm, xenon lamp, etc. in the car tops. However, with the increase in car decoration, the owners use when the car may encounter some problems or minor annoyances. This article lists the three more common cases, and put forward relevant countermeasures. Case I: Car GPS signal gone? Owner Mr. Chen has been a very depressed. Into the summer, the weather is getting hot, Mr. Chen wound to his car posted a set of solar film, in order to step in place, but also specially selected a high-grade goods. Really a penny stock, this film is a senior, outside the sun is bigger, the car is not so hot, Chen feel this is money well spent! But not long after happy, Chen found the problem came, posted a film, a car GPS navigator could not search the satellite signal. For Chen this often busy man ran field operations, there is no navigation directions, but unable to move ah. He is now very confused and very tangled, doubt that this navigation signal interruption, whether it is related with the new post of Solar Films. Tangled solar film break the curse if it is, it would mean that expensive film give this new paste tear? How could this not make people depressed. As we all know, car film can play insulation, cooling and many other effects. Currently on the market to control daylight many film brands. One of the most low-end of the staining film. The principle of the dyed film is the use of special colored pigments to avoid glare, although able to isolate dazzling vision, but can not isolate the heat, one or two years after installation, it is prone to fading, delamination. While the other metal film is to avoid these situations. However, because the car film contains a metal layer, will play the role of shield, it will regularly affect the spread and use of radio signals. Not to mention the GPS navigation signals, and even cell phone signals are likely to be affected. The best solution is to choose the natural way no wireless signal shielding solar film, if not in fact affect some metal solar film, solar film does not have a majority of the wireless signal. Only need to ask before buying loudly product sales, it will answer you truthfully, shielding salesperson wireless signals several natural heart. However, like Mr. Chen is so mature rice raw rice has cooked the owners, nor is no room for redemption. Go and see if your car navigation system has an external signal receiver socket. If so, adjust the installation position of the GPS signal receiver to not affect the position of the sun film, car navigation will be able to normal use. With the popularity of the automobile, it is no longer a simple means of transport. It is an extension of the owner’s personal image, the carrier may be the owner of fun, and even, it is itself Toys! Therefore, with the change of status of the car, the corresponding vehicle modification upgrade also gaining in popularity. Change of sound, dig a skylight, and even upgraded suspension, to add a turbocharger engine, it now appears this is not a surprising thing, as a leather bag attached to a film or something, a mere trifle, even modification can not be called. But often that these humble little change, it may bring unexpected results to the owners. Ranging from spending money wasted, while affecting the normal use of the vehicle, even dangerous. The following situations, do you understand it? Case II: CD Audio Why is intermittent? Liu also recently encountered a strange question, how long did not buy his own car, CD player when they often put the disc off. To check the CD player was told there is no fault. This is really strange, just six months a new car, in addition to the installation of a xenon lamp outside, nothing moving off, CD player not aging so quickly it! As everyone knows, which the culprit being converted from Liu self-xenon lamp. Xenon lamps have high brightness, light close to natural light, low power consumption, but will bring a lot of interference problems due to the modified xenon lamp brings, such as electronic equipment not working properly and so on. For example, some models of cars after opening modified xenon lamp, lamp abnormalities can cause vehicle breakdown lighting, audio equipment noise does not even appear to work, work, etc. for no reason wiper strange phenomenon. Xenon Why is there so much interference? Here we must say that under xenon lamp emitting principle: we know, usually with a halogen incandescent lamp belongs, is by converting electrical energy into heat, light, radiate outward glowing. The xenon lamp is different ballast 12V DC vehicle will convert tens of thousands of volts of high-voltage, gas ionization within an arc lamp light. Due to the presence of tens of thousands of volts of high pressure at work, it is easy to interfere with nearby electronic equipment. There are two basic ways of interference: First, like radio as electromagnetic radiation. Another is to directly interfere with other electronic devices through the circuit. Of course, we would recommend owners who install qualified quality xenon lamp products, especially to get the original certification of lighting assembly. Such products are not only strictly into account the issue of electromagnetic radiation interference, and sophisticated light pattern and excellent quality and better able to ensure the safety and comfort for everyday use. But already by the xenon lamp electromagnetic interference for people who also have remedial measures. For radiation interference, interference sources can (ballast) shielding, simply put, is to metal objects or metal mesh wrap the interference source, and the metal mesh and the frame is connected to ground. Thus, the internal high-frequency high voltage signal is not propagated to the outer metal nets. For interference circuit, it can also be installed in the supply lines ring. Here is the ring around the magnetic material on a number of leads, since the frequency of the interfering signal is relatively high, so it can also play a normal power supply signal isolation interference effect, the device will not be affected. The method can also deal with the circuit interference by changing the wiring position, etc. to solve, the terminal far away from sources of interference. Ms. Wu this time with relation neighbors very nervous, because all the people love to hate in the car alarm. Ms. Wu as saying a car there for some time, but since the district have a car stolen after, Ms. Wu to the car started to have the idea to install anti-theft devices. Also, now in the area, unlike in the past, with the increase in tenants, the district will be a variety of unfamiliar faces every day, plus a cell but not property management, car free access, the risk of car theft than ever lot. Let Ms. Wu absolutely unexpected, since the anti-theft device installed, which not only did not mind less exercise, but became more panic than ever. Now beware not car thieves, it is something between the child downstairs, vehicles and all possible audible. Because as long as a sign of trouble, newly installed in the ultra-high decibel alarm will sound the alarm window, press the remote control it is not Ms. Wu refused to stop. This is no problem during the day, at night the alarm also occasionally called Liang Sangzi, but may be due to the night the cat jumped on the hood! So down, Ms. Wu’s car in the district famous, scratches, Tanji and garbage, the car will not become less of “dress”, once, there are people upstairs throwing beer bottles smashed car rear windshield. So, Ms. Wu now produces anxiety at home, afraid to hear the siren sound. For most of the vibration sensor as an alarm trigger mechanism alarm, the single from the machine itself, there is not much room adjustable. But one thing the owner should pay attention to, for particularly sensitive vibration sensor, we must try to make it far easier to feel the vibration and acoustic area, for example, close to the door or windshield, it is very easy an alarm is triggered. But if it is installed in the center console or the steering wheel beneath these little hidden place, it is equivalent to reducing its sensitivity. Of course, such an approach can only take effect to some extent, too sensitive for anti-theft device, the best method is deprecated. Because for professional thieves, the crack anti-theft device which is pediatrics. So, might as well install a sturdy lock the steering wheel, do not forget to buy a car pilfer, under which sit back and relax.